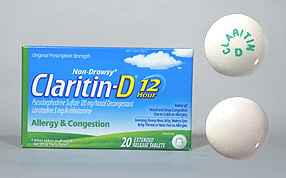 Due to Federal Regulations on pseudoephedrine there is a limit of one (1) package per household per transaction. Also, you may not purchase more than two (2) packages per 30 day period. 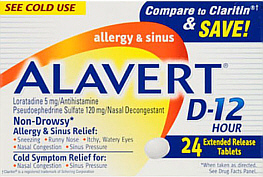 QUANTITY: 1 X 24 Alavert-D 12H #10047655 @ 26.99 each + s/h 1 X 20 Claritin-D 12-Hour #10061292 @ $30.99 each + s/h Maximum is 1 package per purchase for this item.